Our patchouli and eucalyptus room mist is made with pure aromatherapy essential oils. No synthetic fragrances ensure you can spritz your pillow or upholstery and fill your room with a warm and harmonising aroma. 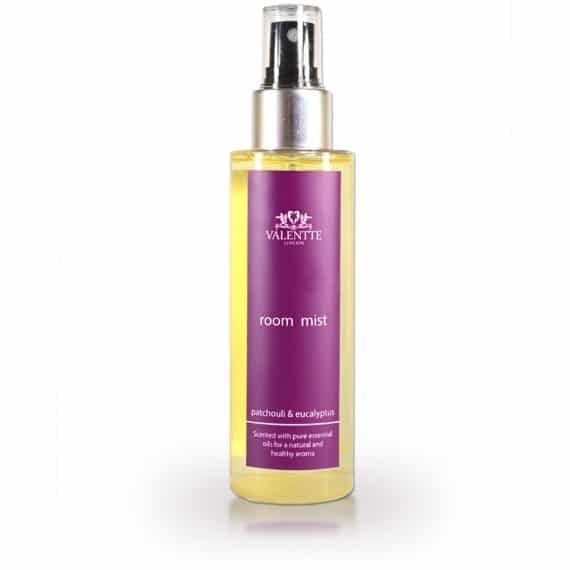 The Patchouli and Eucalyptus Room Mist packs a lot of power in a small bottle. It is a lovely scent and a real enhancement to our home. 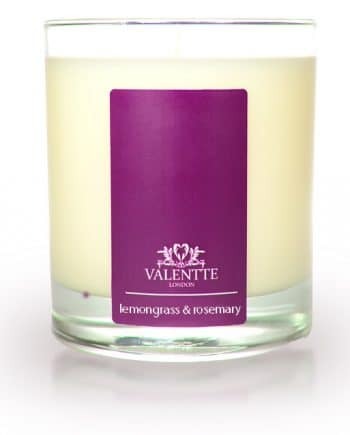 We first came across Valentte on a market stall, several years ago and we haven't looked back! Love spraying this fragrance around the house. At this time of year it's such a 'cooling' fragrance. The quality of the ingredients is exceptional. I adore Valentte products, such high quality for a fraction of the price of other luxury brands. This room mist has an amazing, uplifting scent that I'd love and buy in a perfume. Only reason I gave it **** and not 5 is because the lid was difficult to get off and now won't go back neatly and evenly. Love the reed diffusers - last for ages and the frangrances are lovely! A lovely fragrance, especially the room spray! This is my second purchase of this diffuser and the one I purchased last summer is still smelling fresh in my toilet. I have had so many compliments from friends and family asking where I bought it and cannot believe it’s still not run out after all this time. Love it. I use this spray after vacuuming and it leaves the room smelling lovely and fresh. 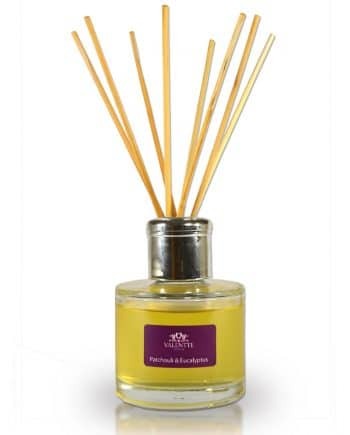 Love the reed diffusers – last for ages and the frangrances are lovely! This room mist has an amazing, uplifting scent that I’d love and buy in a perfume. Only reason I gave it **** and not 5 is because the lid was difficult to get off and now won’t go back neatly and evenly. Love spraying this fragrance around the house. At this time of year it’s such a ‘cooling’ fragrance. The quality of the ingredients is exceptional. I adore Valentte products, such high quality for a fraction of the price of other luxury brands. The Patchouli and Eucalyptus Room Mist packs a lot of power in a small bottle. It is a lovely scent and a real enhancement to our home. We first came across Valentte on a market stall, several years ago and we haven’t looked back! Great fragrance that lasts in the room and on fabrics. Prior to use I was originally a little put off by the idea of the Patchouli fragrance, but combined with Eucalyptus it’s a really relaxing, warming smell. Beautiful products that do not disappoint. I love the smell of this room mist, it’s just wonderful, patchouli fragrance reminds me of my days when I hung around with lads dressed in leather and riding motorbikes it’s amazing how a scent can transport you back to a time, a day, an hour in your past, and this does this for me and I love it. I hesitated to try this fragrance – haven’t smelled patchouli for quite some time !! but blended with eucalyptus it is a really unusual scent, hard to describe, strong and not too sweet, and I love it. I have the room spray upstairs and it scents the landing and the top of the house beautifully. I will definitely buy again, and probably try the reed diffuser next time. I have never been disappointed with any Valentte products. Patchouli is one of my all time favourite perfumes….being an old hippy!